AmigaOS 3.1.4 no more available as a digital purchase. Boxed version with dedicated Kickstart ROMs is being sent to Amiga dealers. Light pens / guns need CRT to work. You can’t use them with an LCD screen. 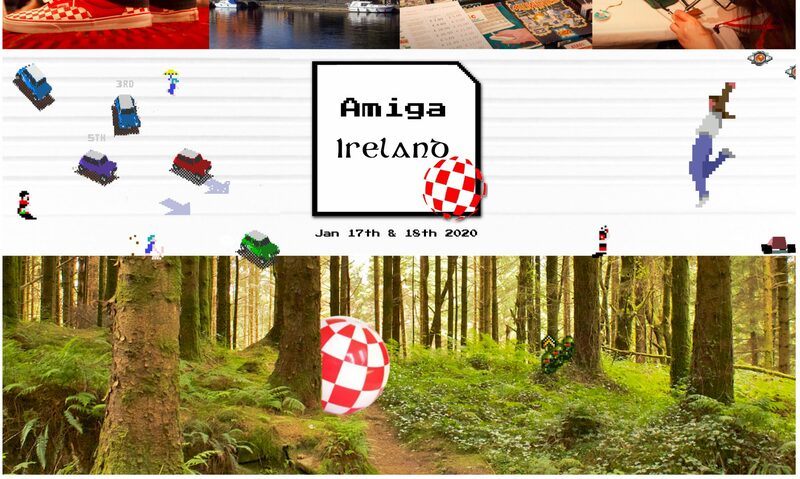 Workshops for Amiga Ireland 2019 include: Gotek Programming with Daniel, AROS installation with Neil, AmiBerry configuration with MiDWaN and Lightwave 3D with Muadib. You can attend any workshop you like – you don’t need to have anything specific and can just be there to learn. Or you can bring gear with you and actually participate rather than just spectate. Also; order t-shirts! The t-shirts are only available on pre-order. Unlike the mugs last year one size/colour doesn’t fit all so the t-shirts are on a pre-pay basis only so get your order in before the order goes to the printer. There are options for different sizes, colours and fit for the t-shirt, the most popular so far being gray. Big thank you to Mattie Whittle for donating to Amiga Ireland while purchasing tickets to the event. C64 CIAs, input issues with MD pads, keyboard control, data cassette etc.